Why can't we vote in the EU Referendum? A once in a lifetime political decision is to be made by the UK this Thursday - that is whether or not the UK should remain part of the European Union. There have been countless articles, new reports, debates and claims arguing for both sides. It has been a bitter campaign which has divided the country. Should I be interested? Absolutely. Should I have the right to vote as this a decision that will affect my generation more than anyone else? Yes. Am I and other 16-17 year olds allowed to vote? No. Regardless of the outcome, we younger people will have to deal with the consequences of the decision. Our voices should have been heard in this debate and we should have been involved in the decision making process. Politicians will argue that young people have not been engaged in this debate and have shown little interest in the issue. I would argue that had we been given the right to vote, we would have been actively engaged and made sure our voices were heard. I wrote an article last May about whether 16 year olds should be given the vote, highlighting the keen interest in the general election shown by my peers and dispelling the myth, in my view, that young people aren't interested in politics. However, on the EU referendum, there has been some evidence that young people (18-24 year olds) are not engaged in the debate. 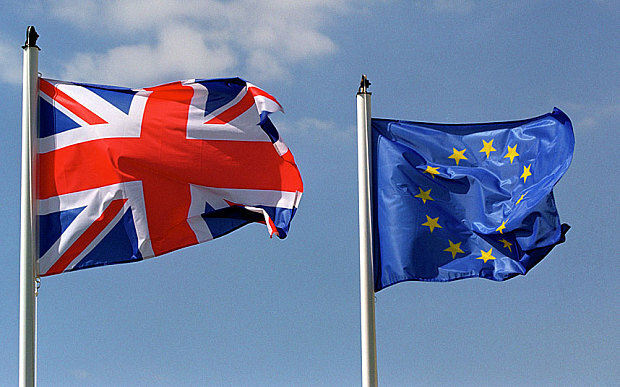 The Electoral Reform Society published that 21% of 18- to 24-year-olds say they are very interested in the EU referendum, compared with 47% of those over 65. According to this article by The Independent, this is due to 'missed opportunities to educate young people about the benefits of membership'. I argued last year that the interest shown in the general election from young people was due to the mass of information spread on social media. With a newfound tool for exposure, every party was able to get its policies heard, and in turn, views were formed. Perhaps the lack of efficient and effective internet campaigning is the reason young people are not more interested in this monumental decision. Lowering the voting age was considered in December last year, but was blocked by MPs in a vote 303 to 253. Despite the fact young people will deal with the referendum result more so than anyone else, Conservative Justice Minister Lord Faulks argued the move could "seriously undermine the legitimacy of the referendum". Thanks very much Lord Faulks. According to this BBC piece, It would have cost £6m for 16-17 year olds to be able to vote. Did this influence the decision not to allow us our voice? What confuses and angers me most is that 16 year olds were given the vote in the Scottish Referendum. And quite right too, as this was a once in a generation decision. The Electoral Reform Society said that based on the Scottish Referendum, 16-17 year olds have higher rates of turnout than 18 to 24 year olds. I believe that if we were given a vote in the EU referendum, we would have actively taken part in the debate. The fact the voting age was lowered to 16 would, in itself, create such a buzz it would trigger interest in the key issues and spark active debate among young people and across social media. Do you agree? If you had the right to vote, would you be taking part? Do you want a vote?